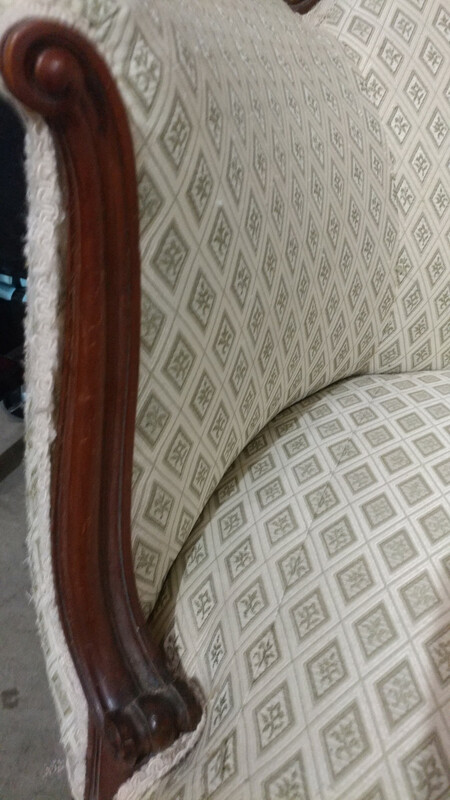 These sofas are very hard to come by. 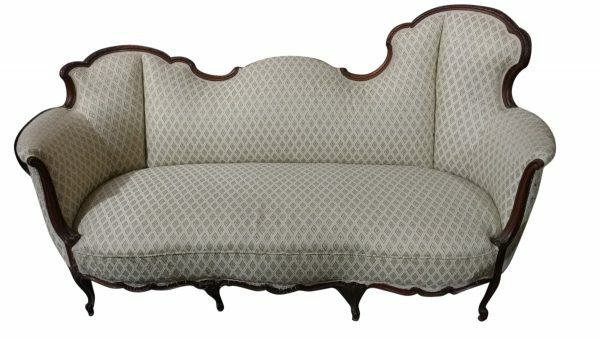 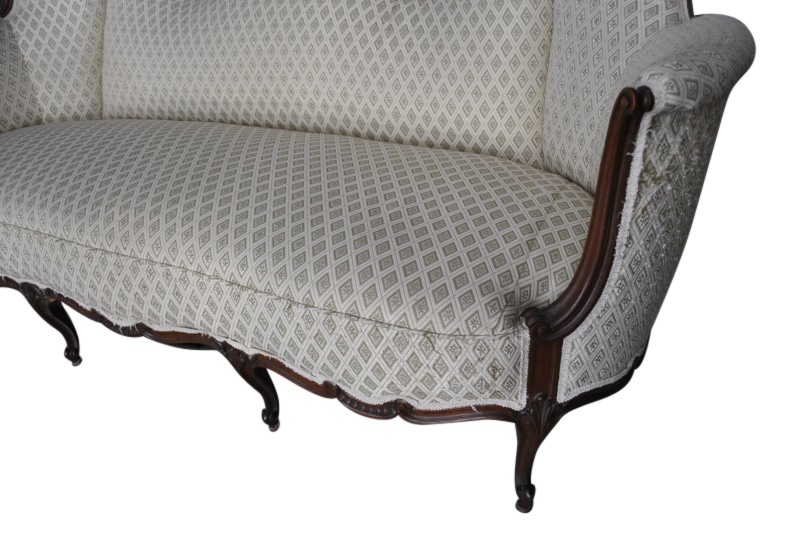 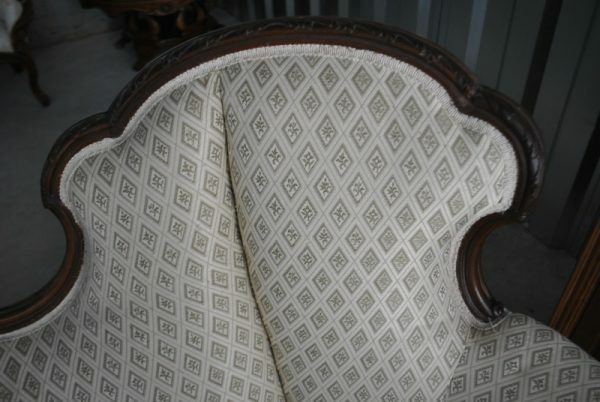 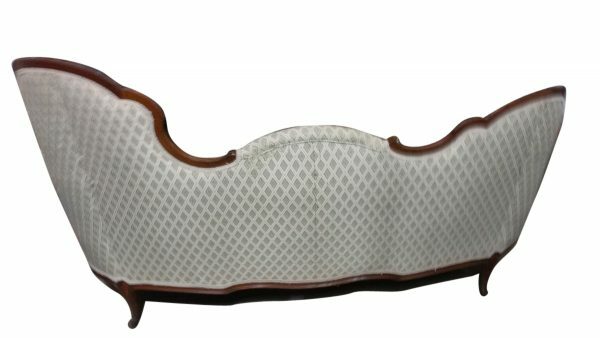 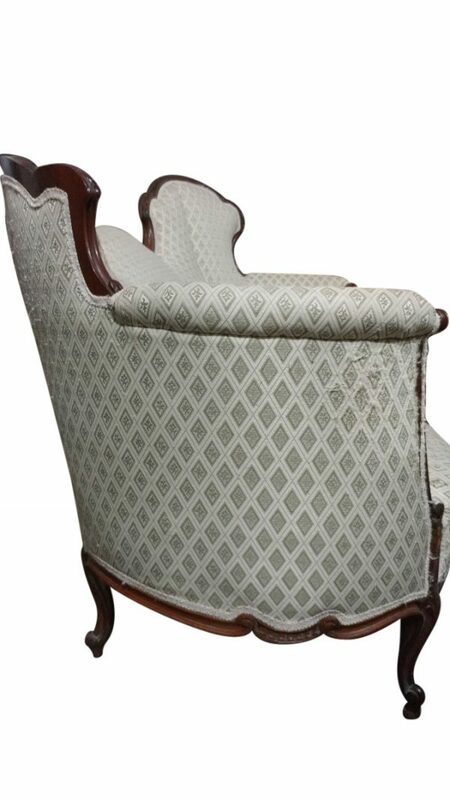 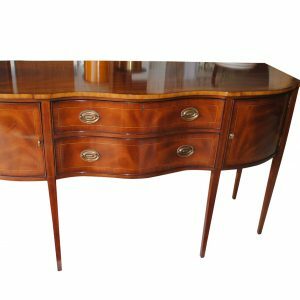 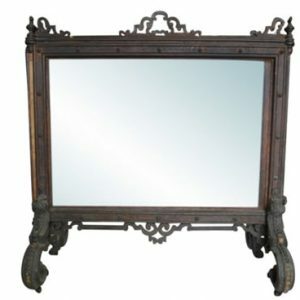 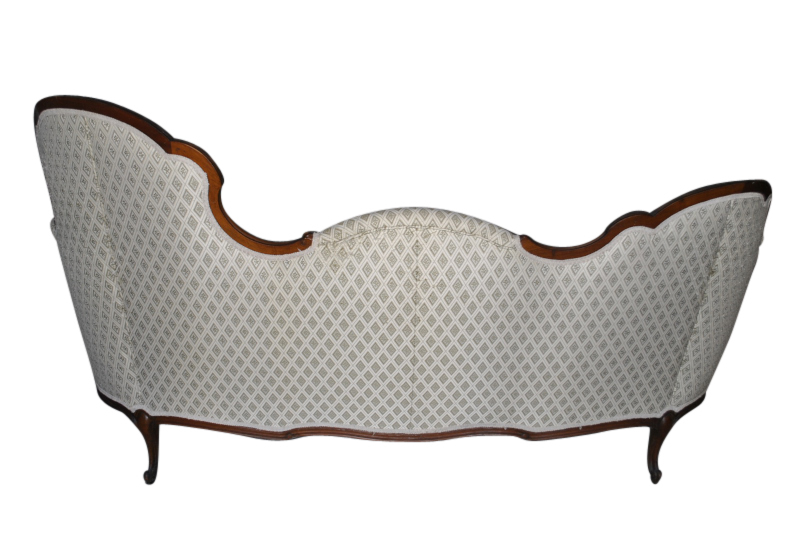 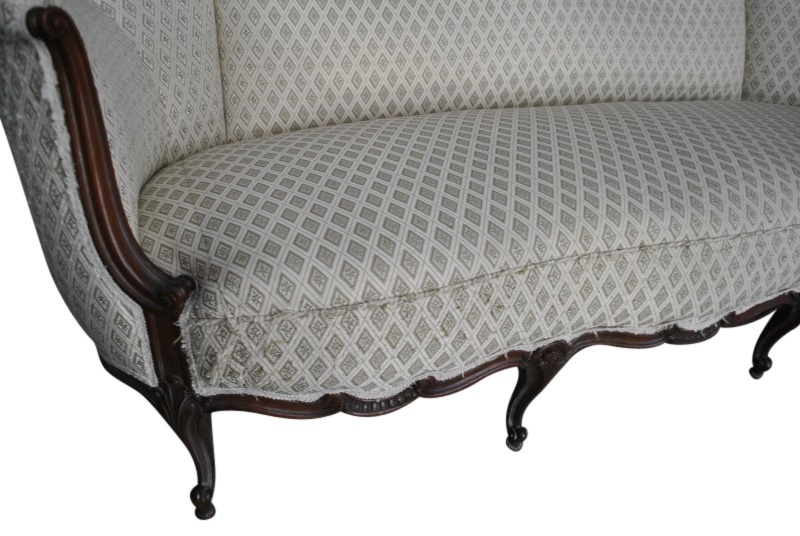 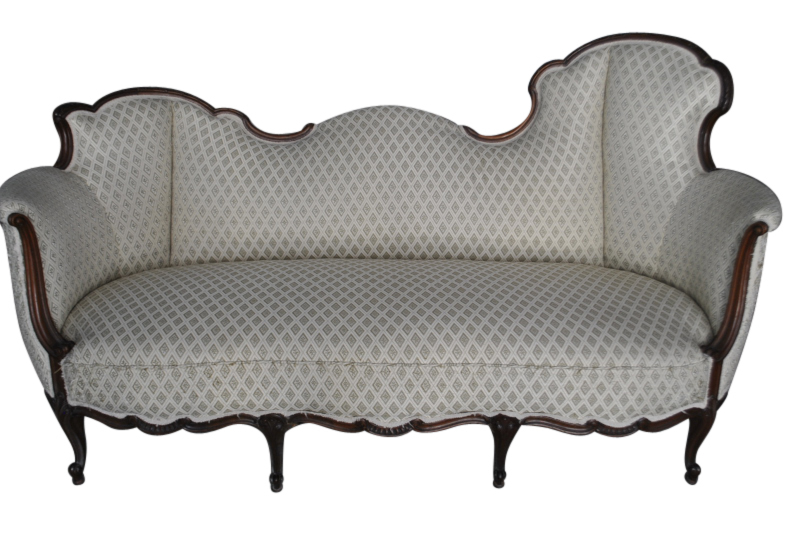 Carved Mahogany frame, Cream Upholstery with diamond patterns and hints of olive green, curved legs, scroll, padded feet. 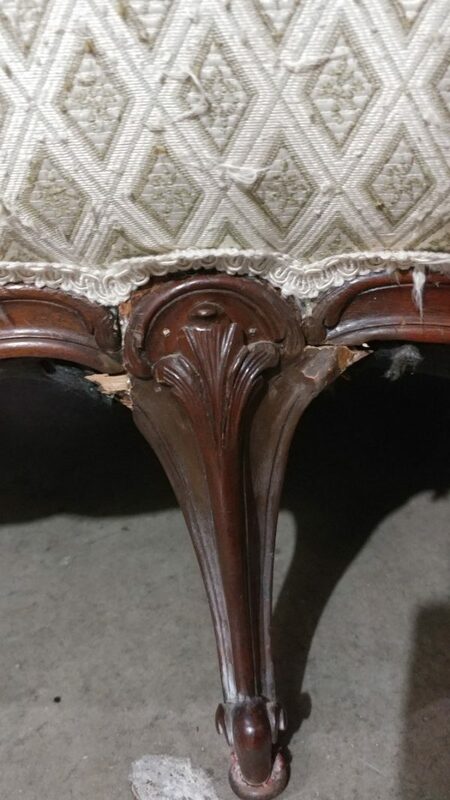 The left front center leg needs repair (see photos). 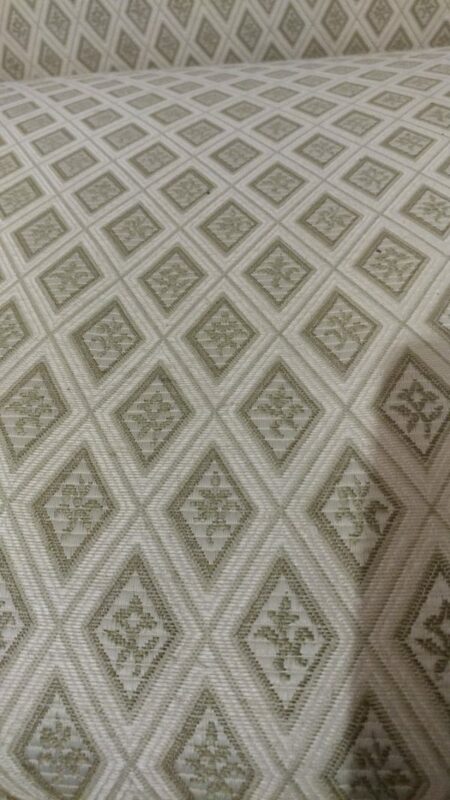 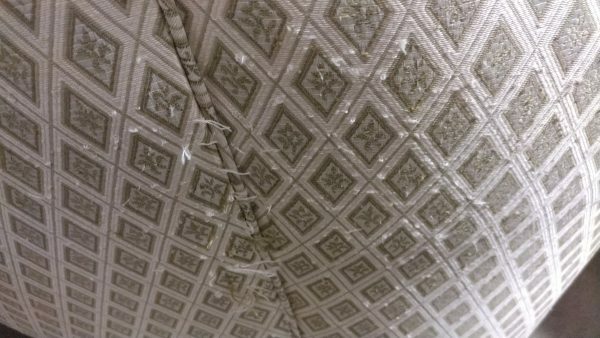 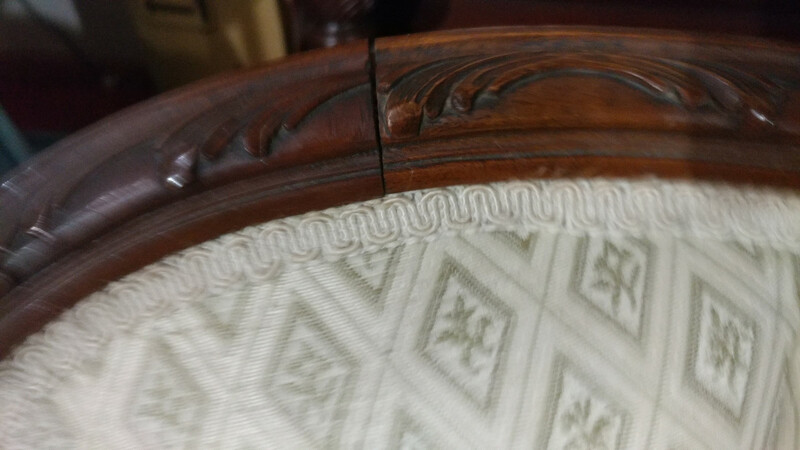 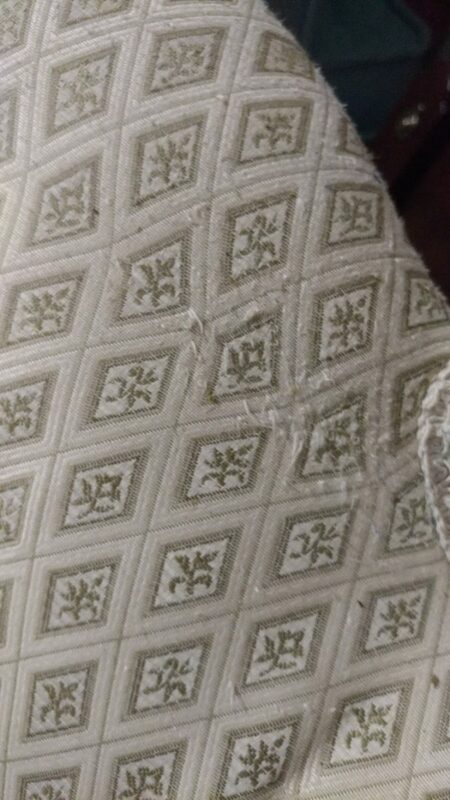 Expected age wear wear and some fraying in various areas (see all photos). 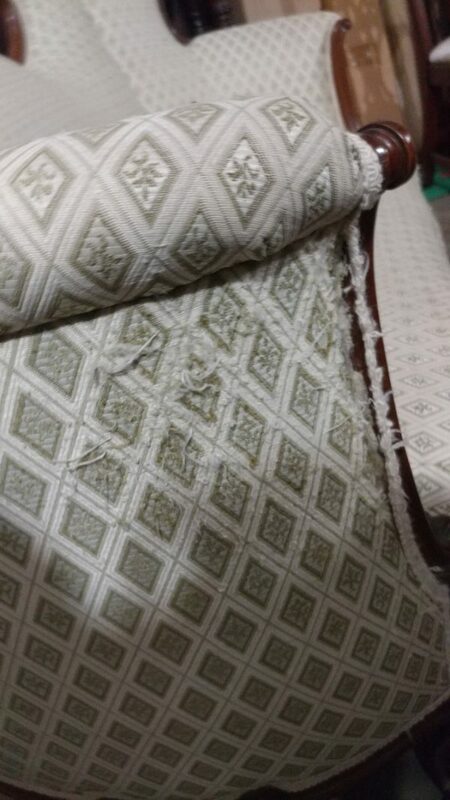 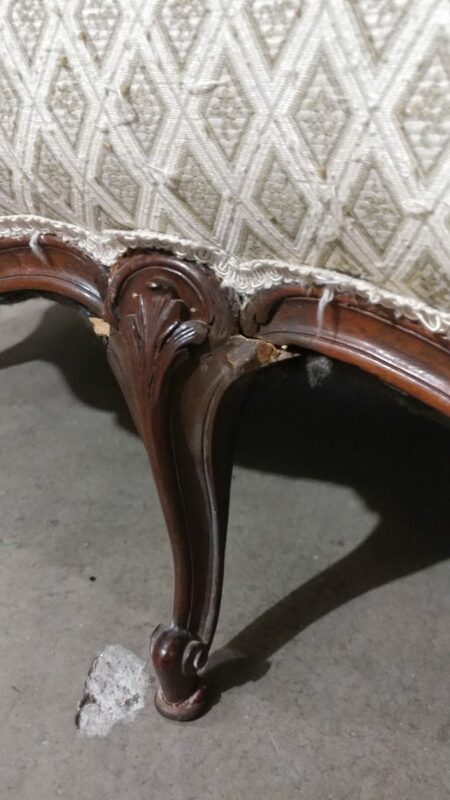 You will probably want to reupholster. 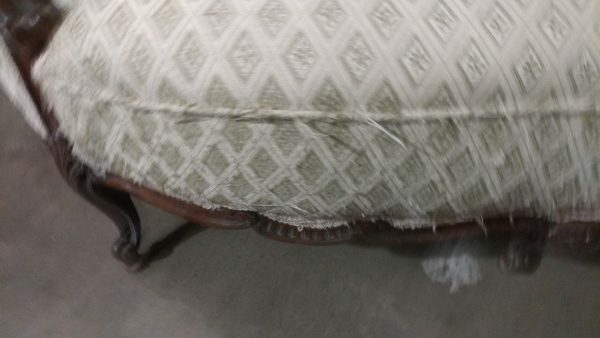 Very good overall condition. 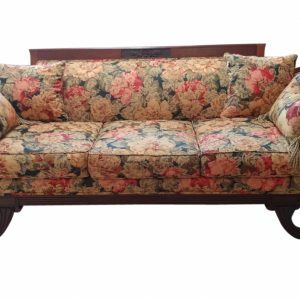 Measurements: 32″D x 75″W x 40″H. Measurements: 32"D x 75"W x 40"